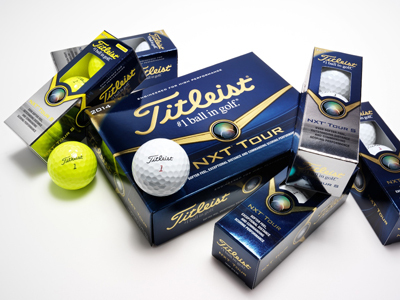 The 2014 Titleist NXT Tour golf ball is one of four new Titleist golf balls for 2014, alongside the NXT Tour S, Velocity and DT SoLo. 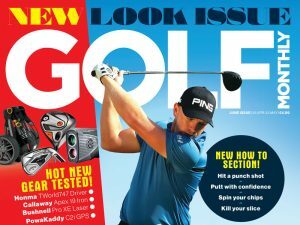 The 2014 NXT Tour makes use of multi-component technology so as to deliver low spin on both drivers and irons shots, thus increasing distance. The 2014 NXT Tour features a new proprietary softer compression dual core and a softer and thinner Fusablend cover, ensuring excellent control of spin and a soft feel around the greens without sacrificing distance. The NXT Tour maintains its tiled 302 octahedral dimple design, which is designed to produce a boaring ball flight and ensure golfers are able to control both distance and trajectory.